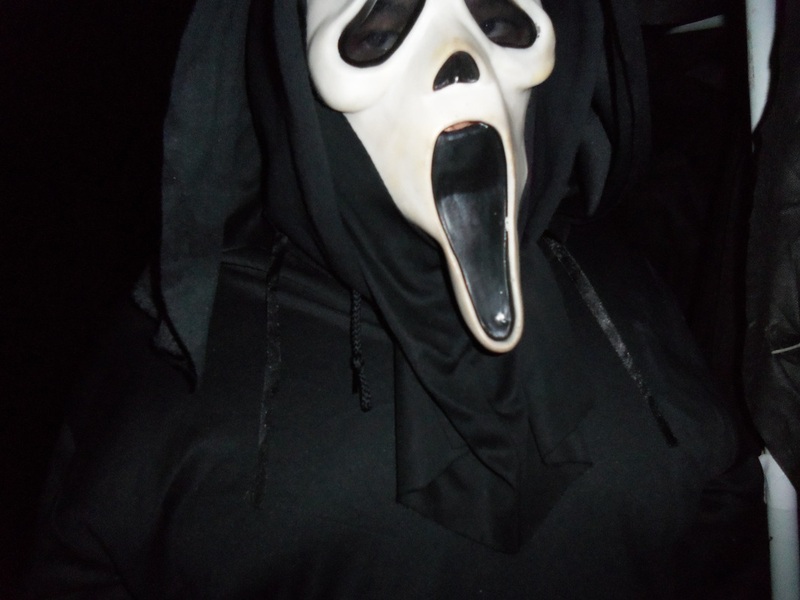 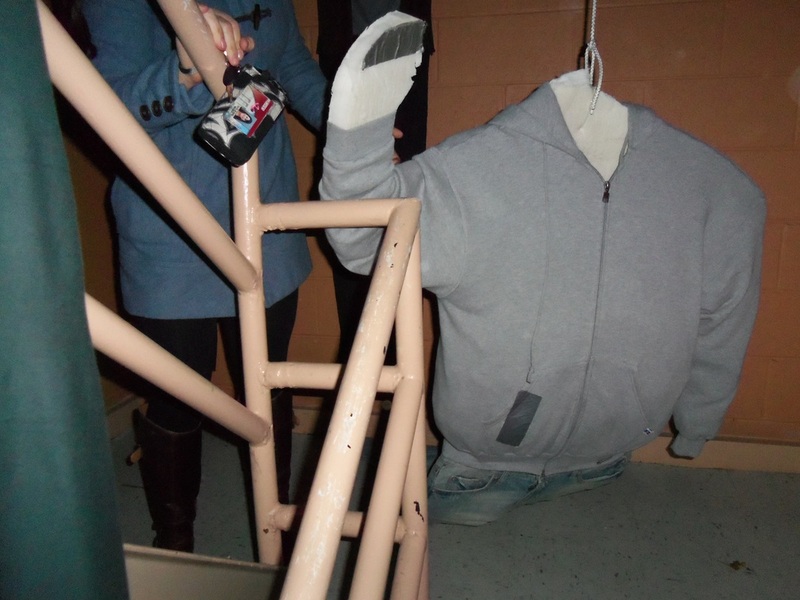 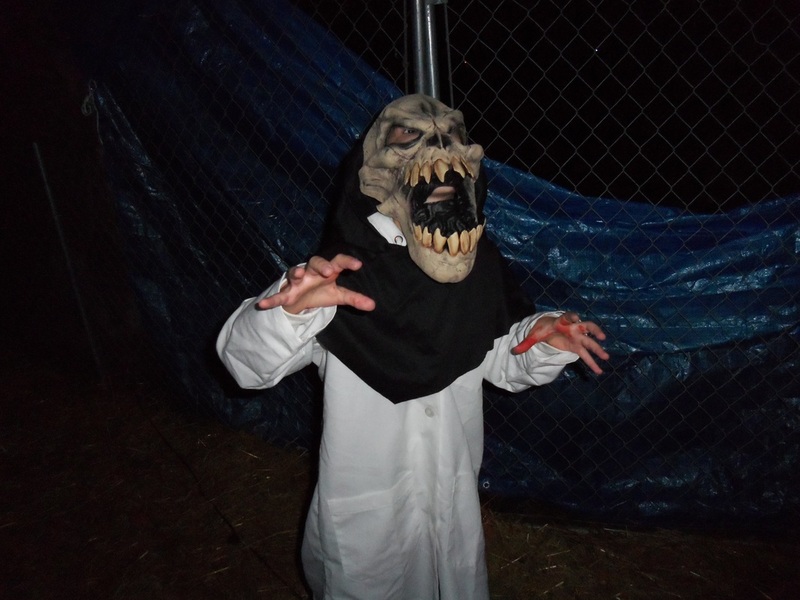 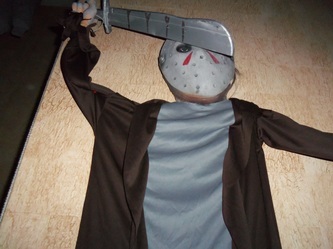 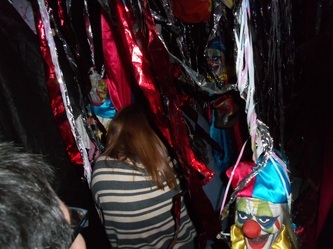 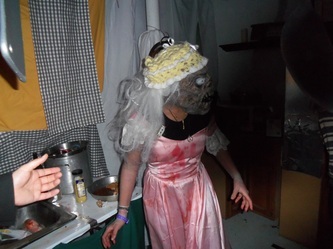 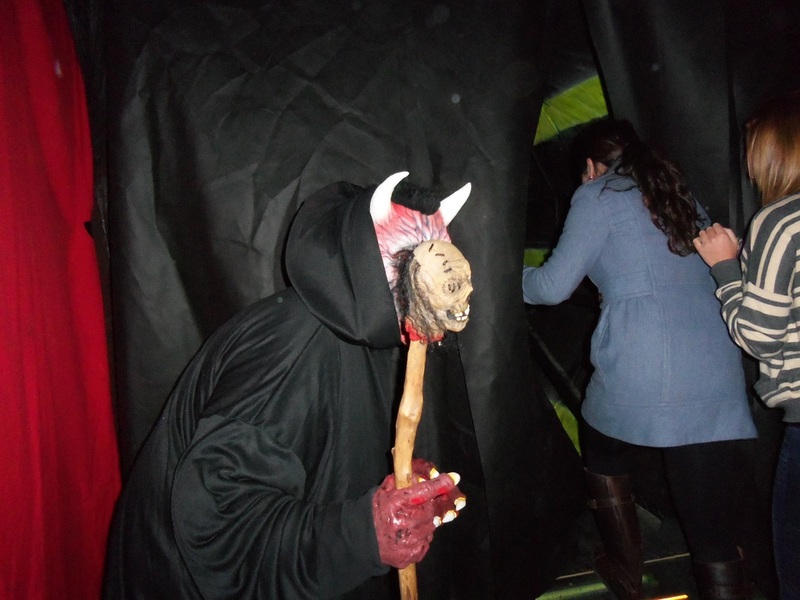 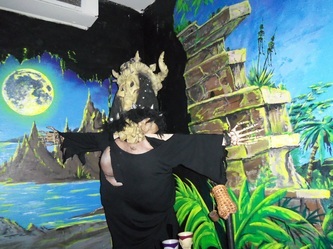 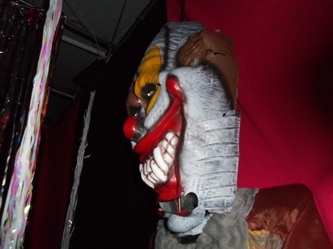 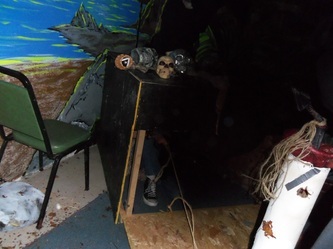 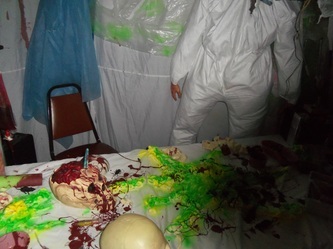 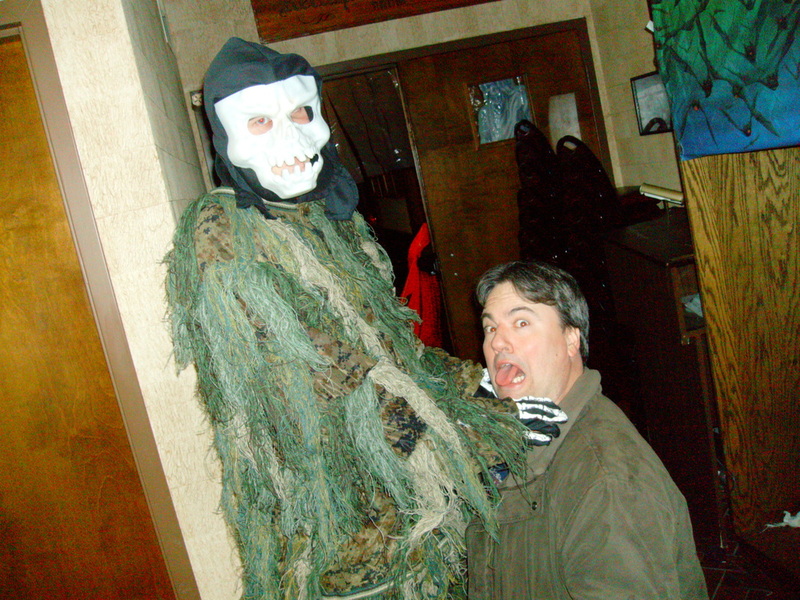 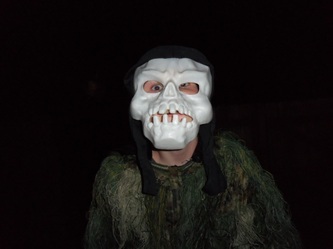 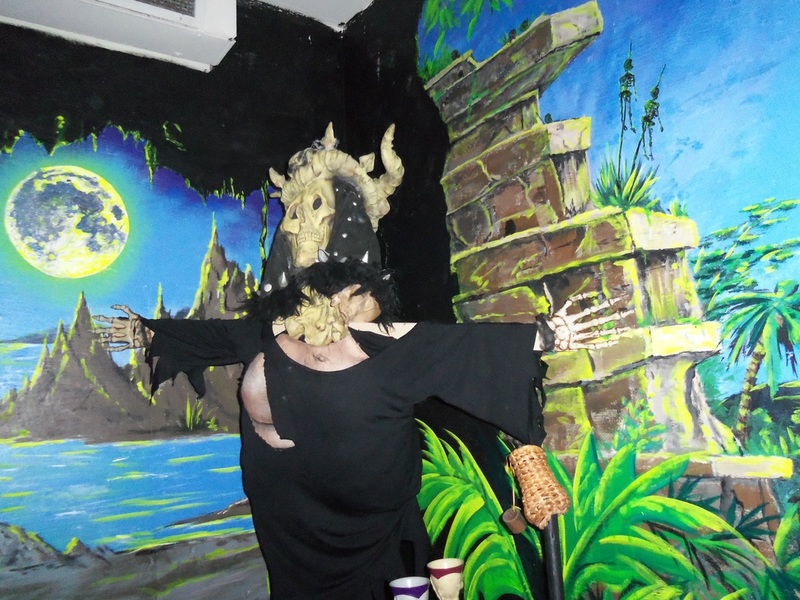 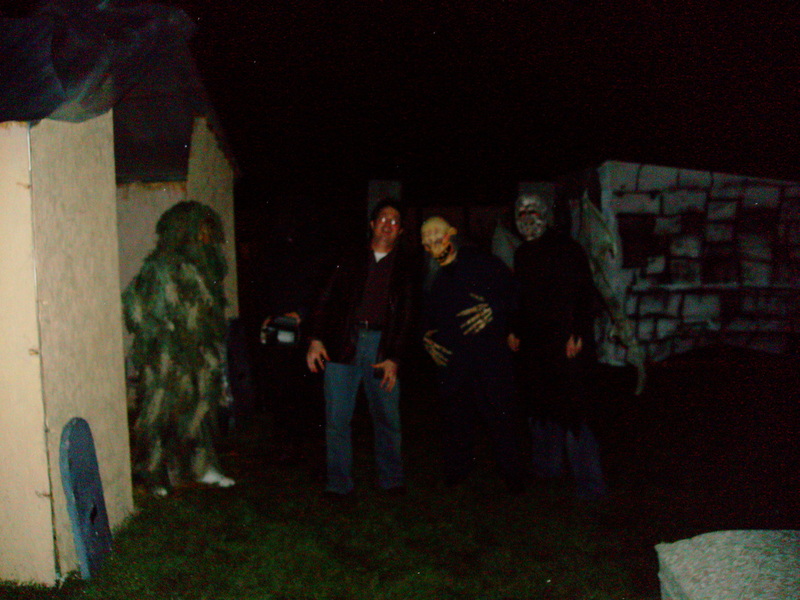 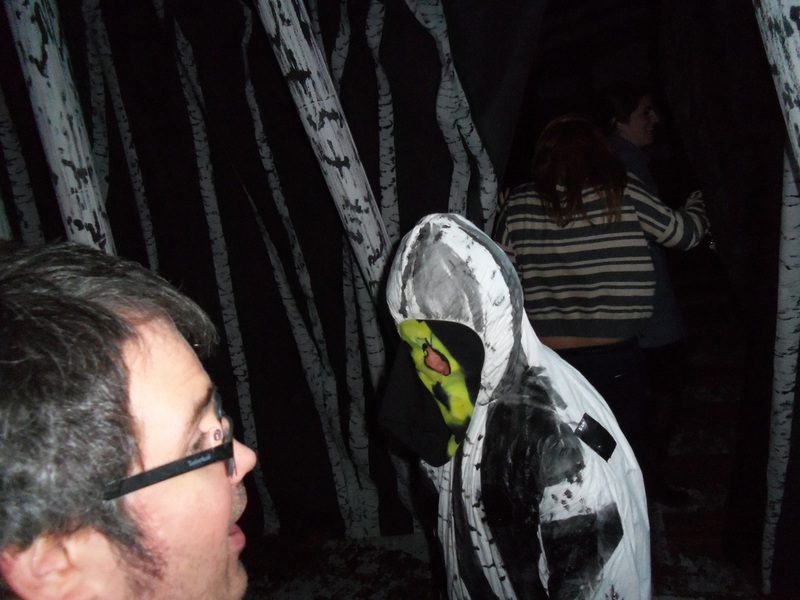 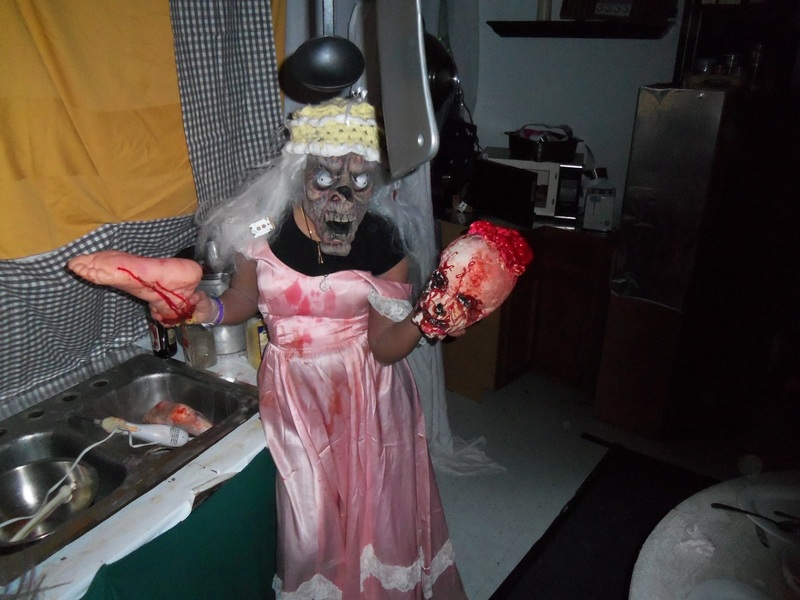 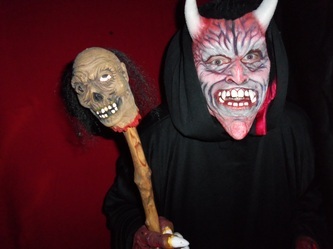 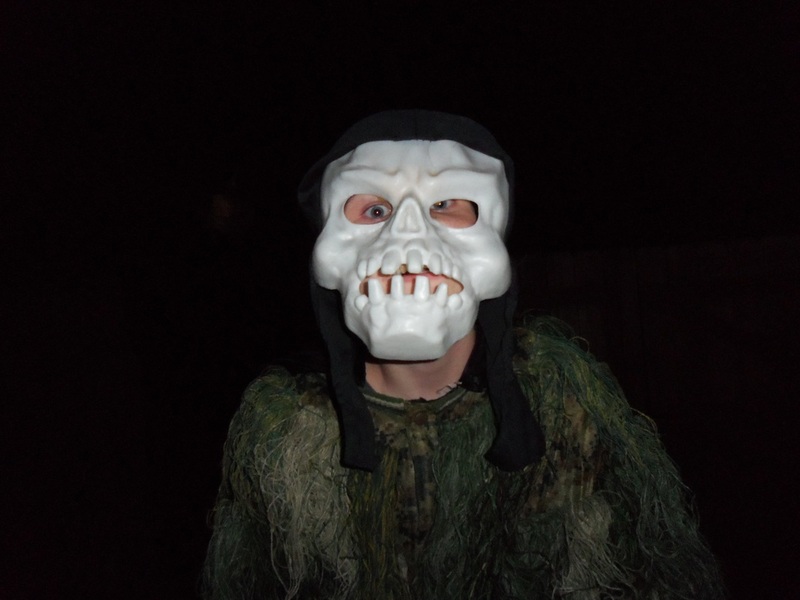 Undergound Hauntings is an annual haunted house put on by the Eiche Turners organization. No, not Tina's ex-husband, but rather an organization that, according to their web site, is "a family orientated organization dedicated to bringing social, athletic, and cultural opportunities to the Southwest Chicago Suburbs." 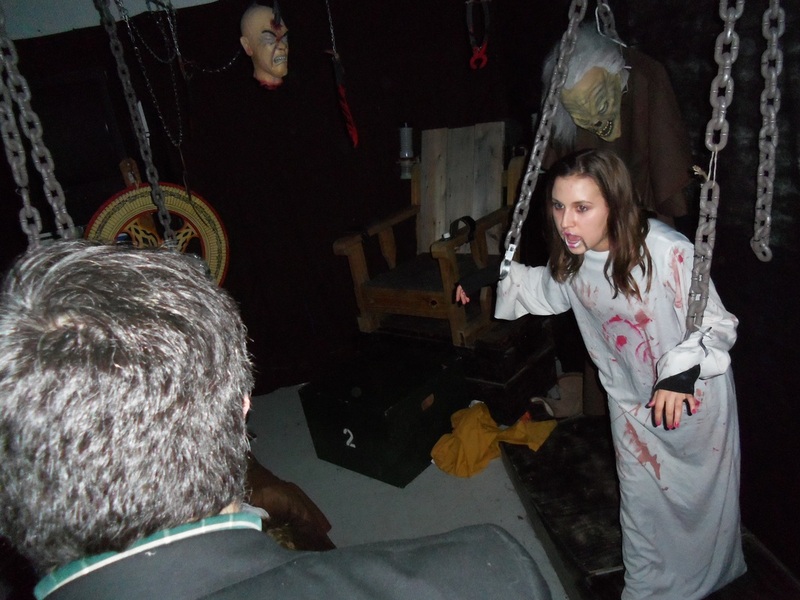 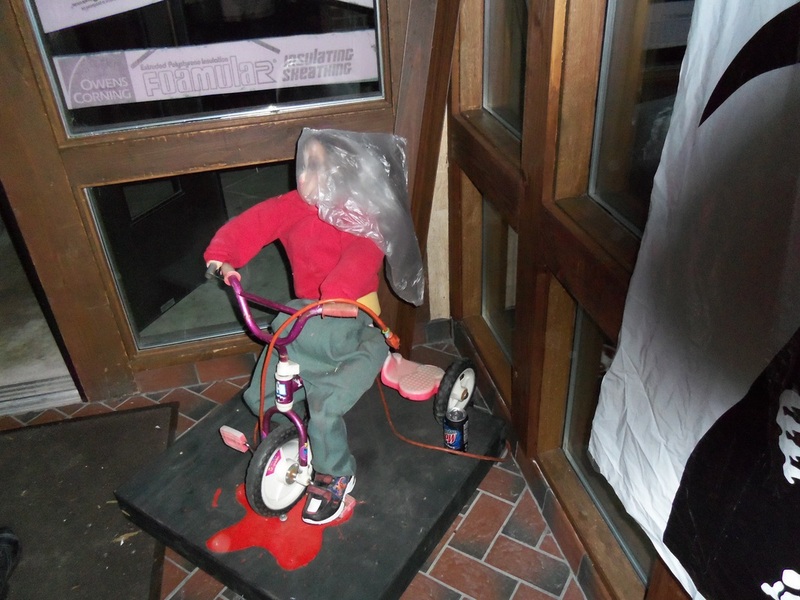 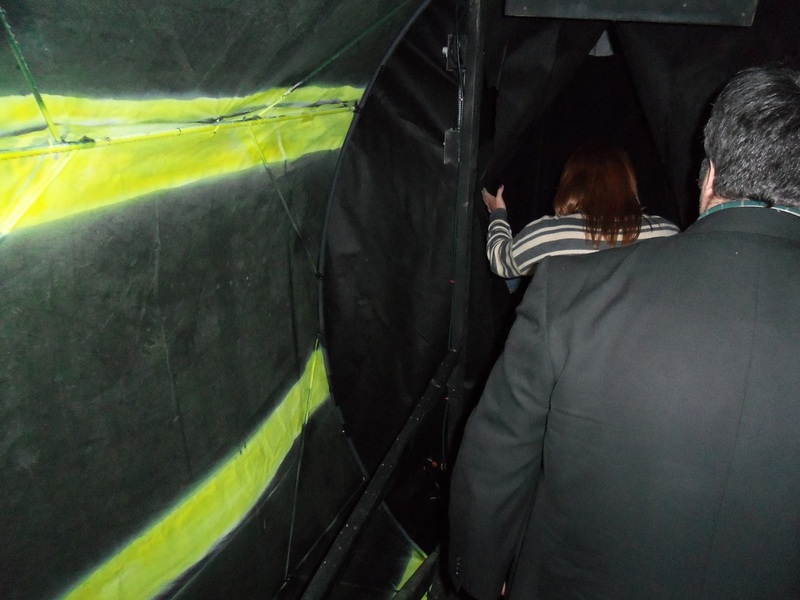 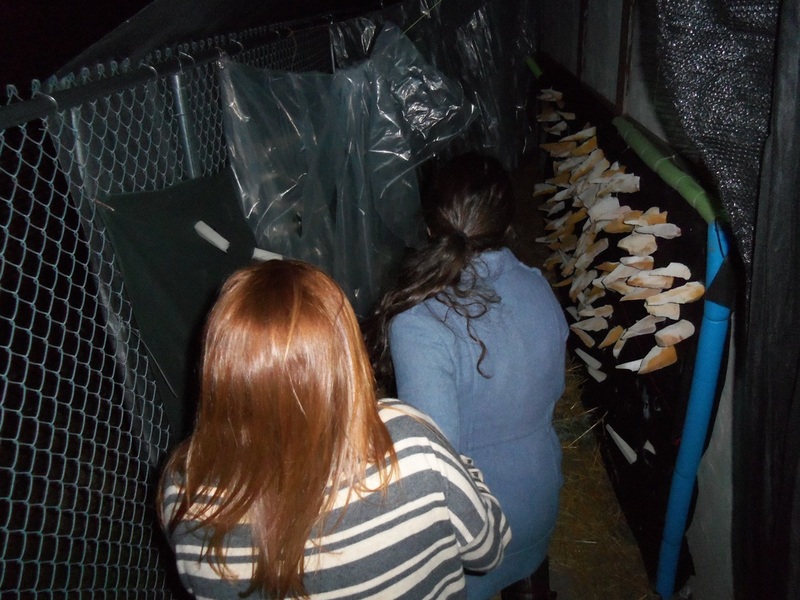 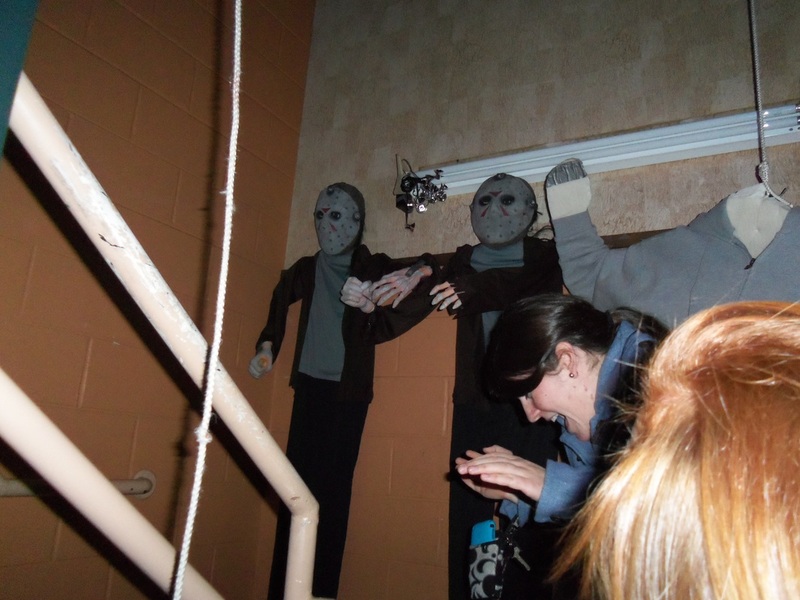 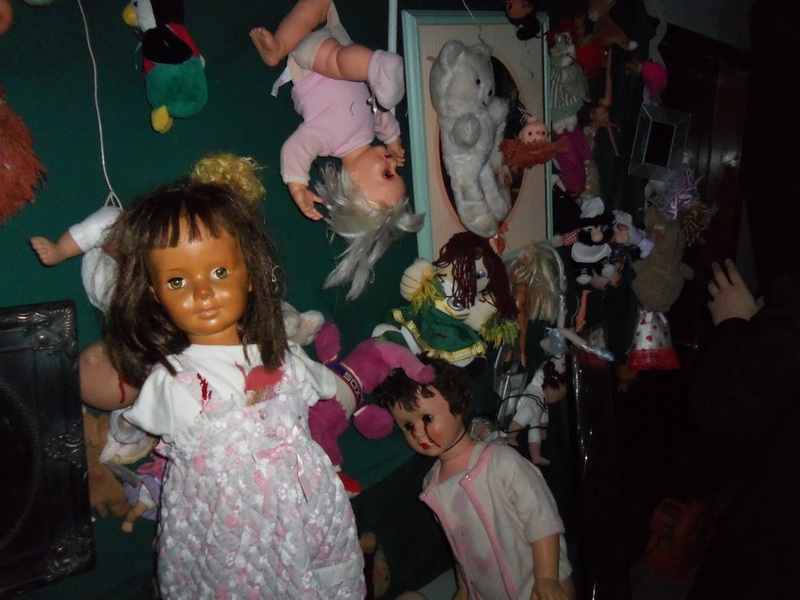 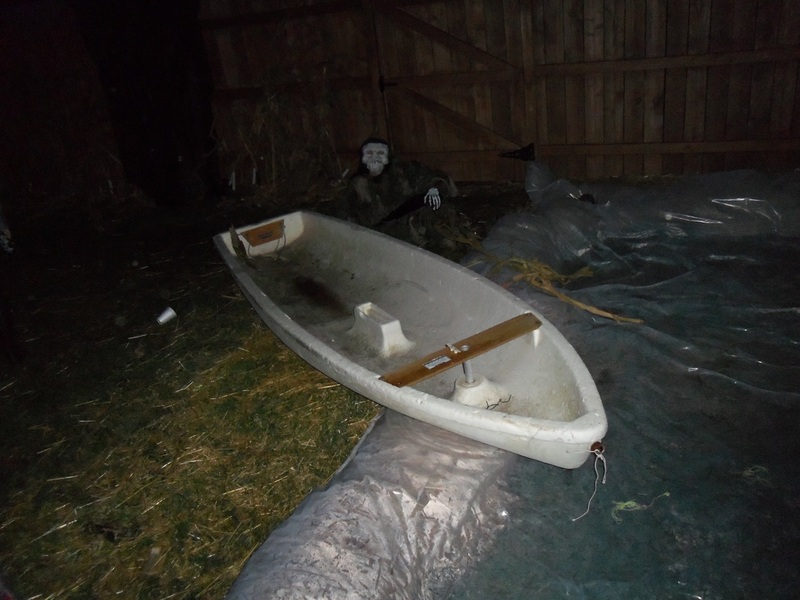 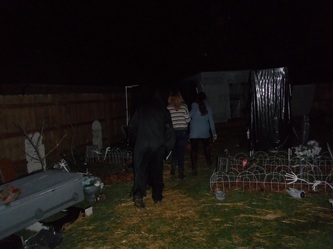 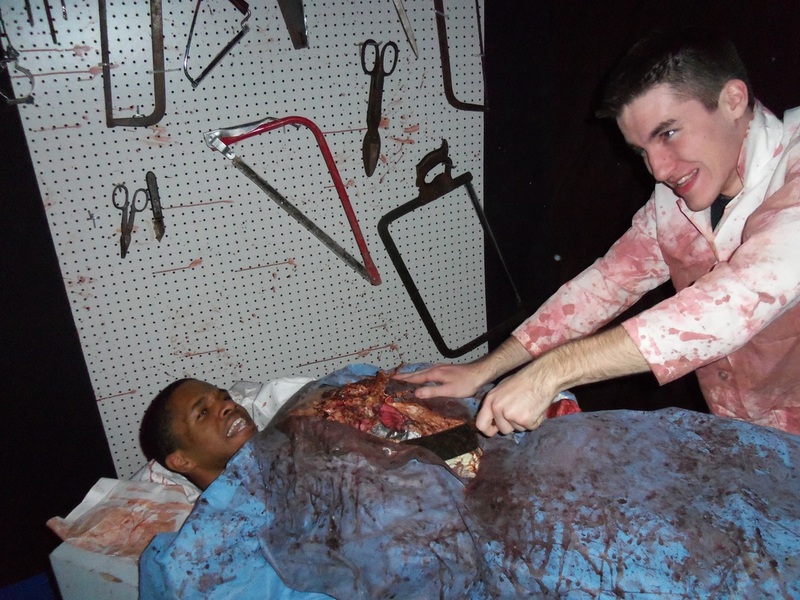 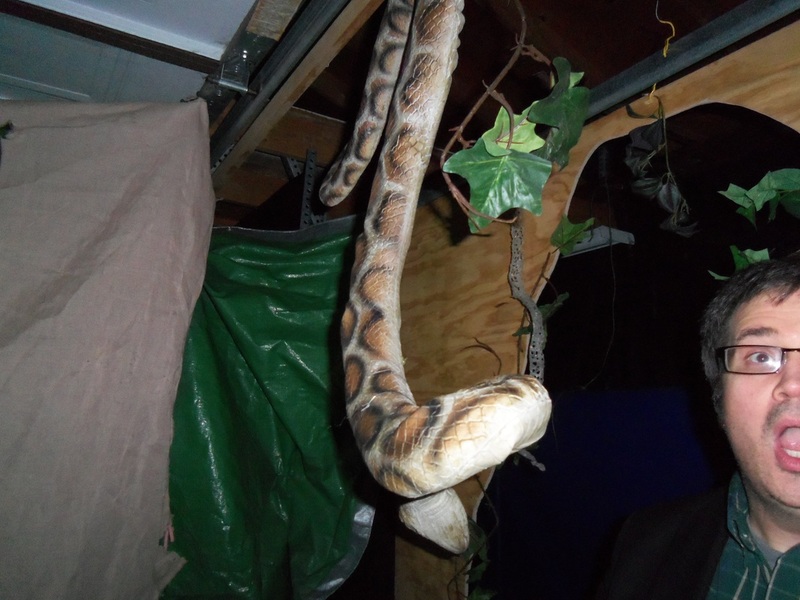 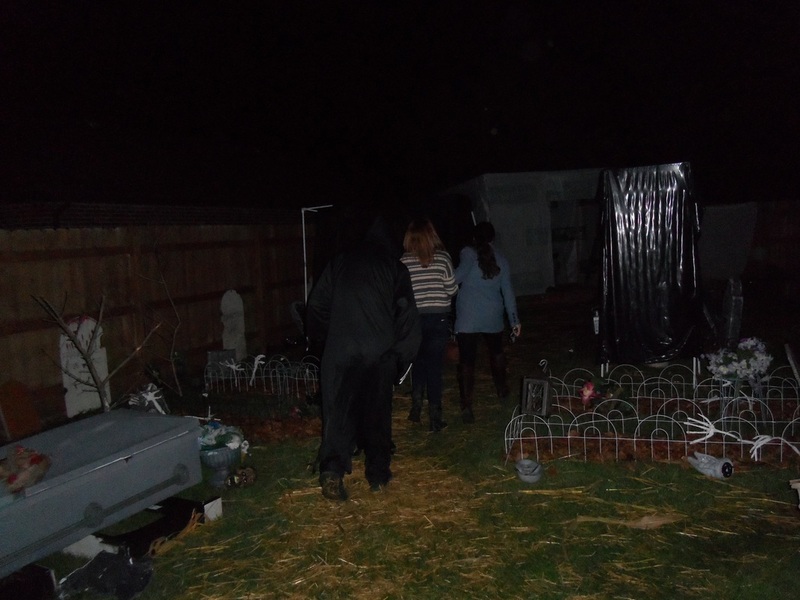 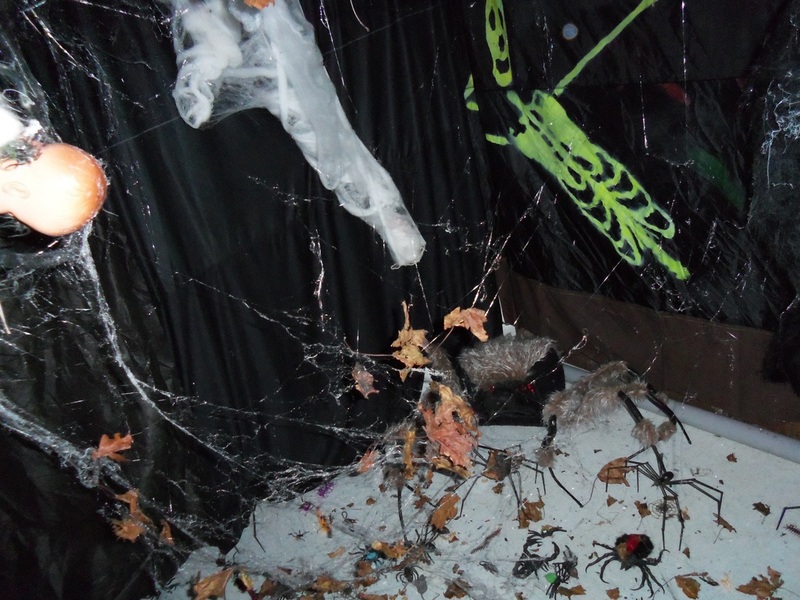 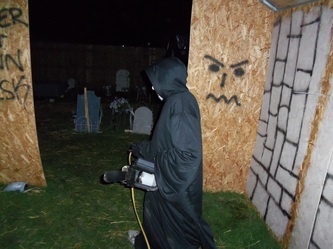 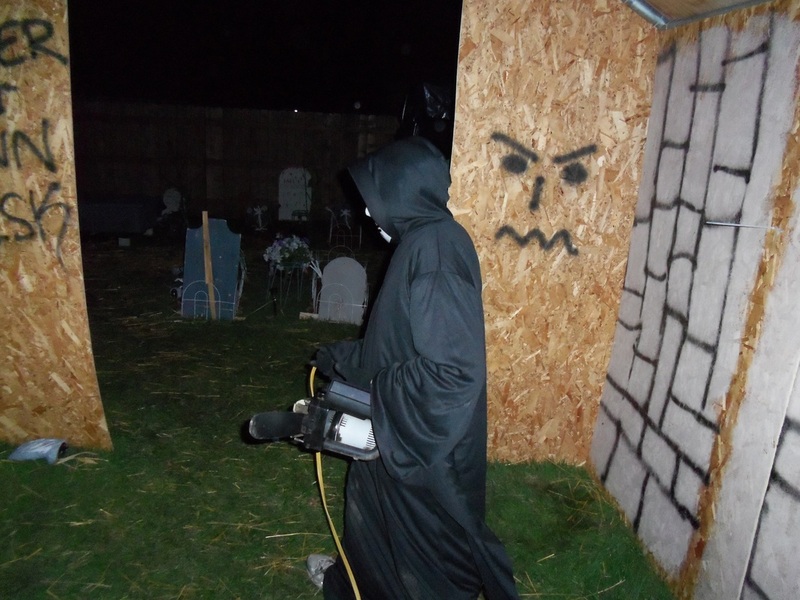 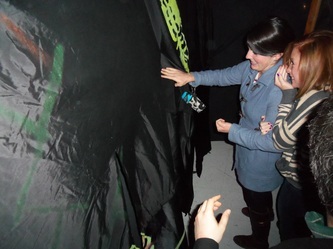 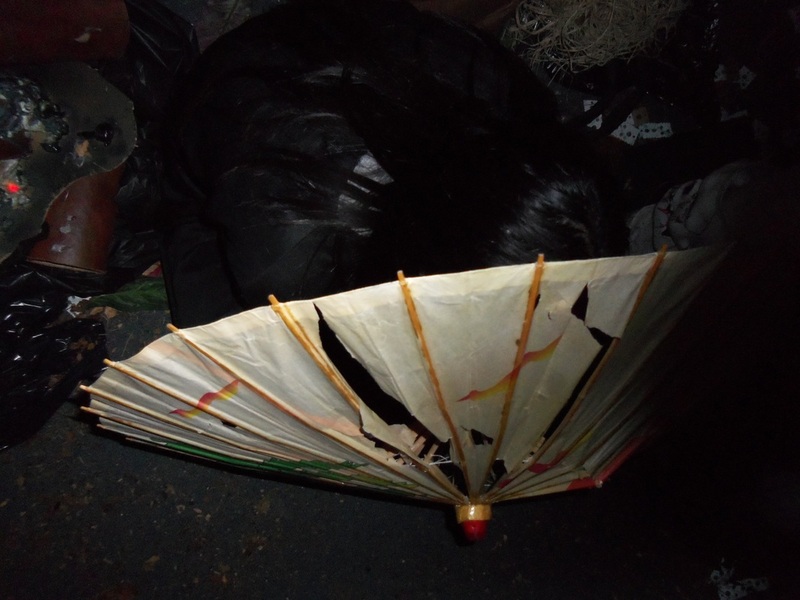 Like many similar organizations, Eiche Turners puts on an annual haunted house one of their fundraisers. Although mostly staffed by younger kids (grade school age), the haunt is rather large, and encompasses a spacious inside part (with two levels), an outside walk to a garage with more scenes, then another walk to an open outdoor area for the final parts of the experience. Overall, the haunt takes about 20 minutes or more to go through, which is on the higher end of haunt length, even for more professional haunts. 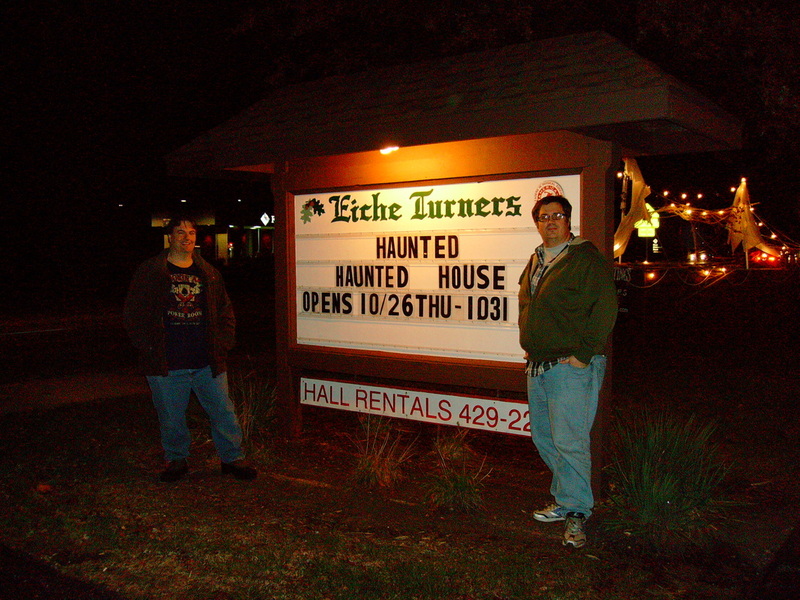 The Tourers have been visiting this haunt since 2009, and we have enjoyed it every year - with one caveat. 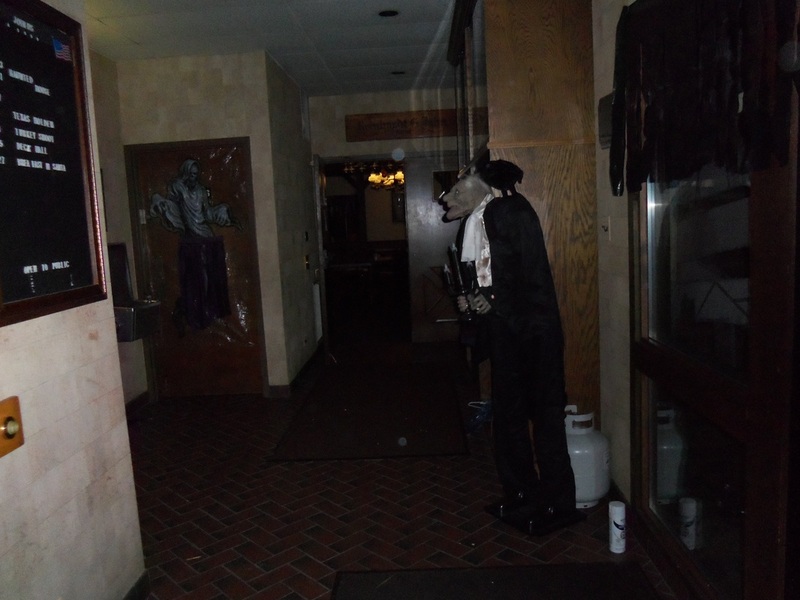 The patron flow is usually very slow, and it can take a long time between the time one group is let in and other is let in. 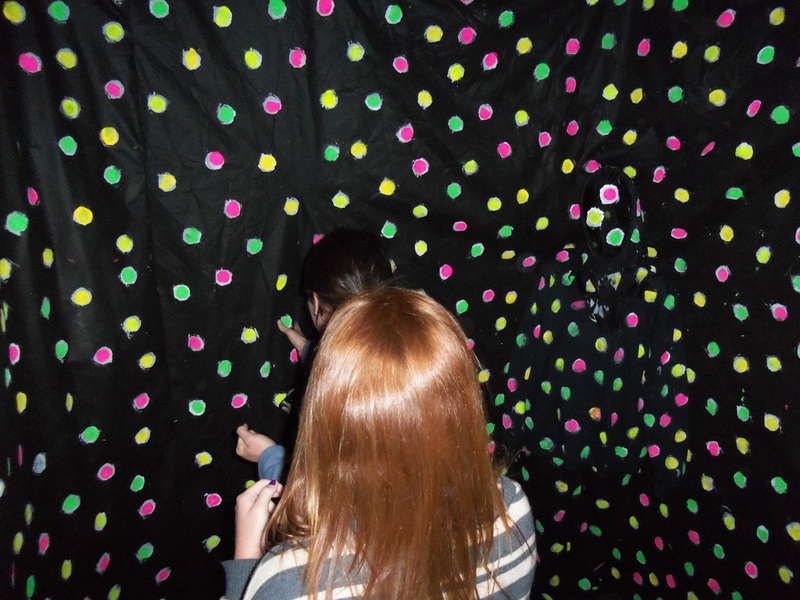 To be honest, we really have never been able to figure out why it takes so long between groups, but because it does, the line can get very long very quickly. 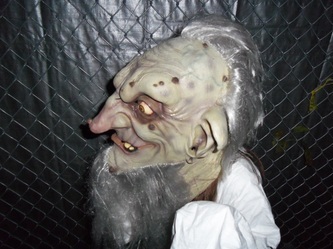 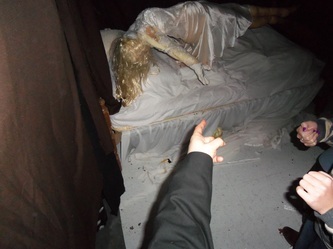 While the haunt is a pretty good value for the money, it's honestly not worth waiting an hour or two in line, especially when you can visit a number of other haunts and displays that are not too far away, like Dark Shadows, Nightmare in Crete, Sunny Acres, or Fear on Fiona, for example. 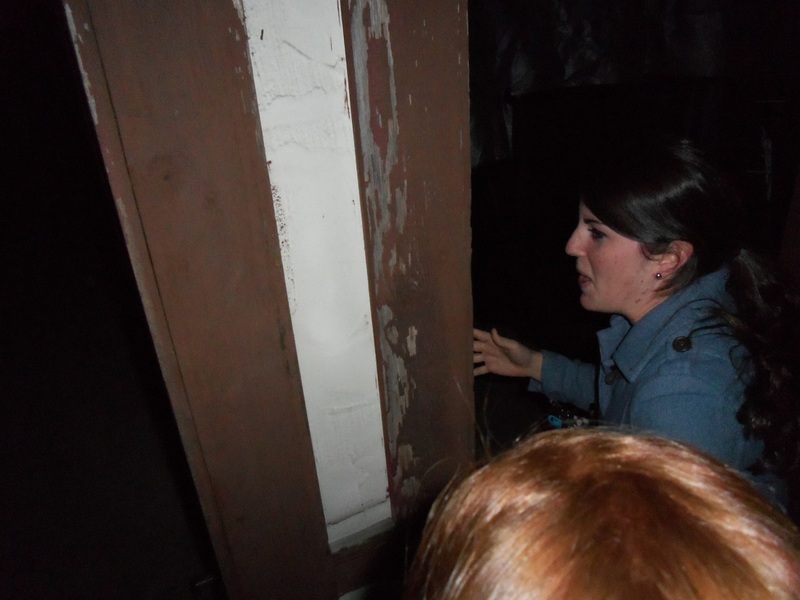 To be honest, it's nothing personal against Underground Hauntings. There are very few haunts that we would wait an hour in line for, and none we'd wait two hours for. 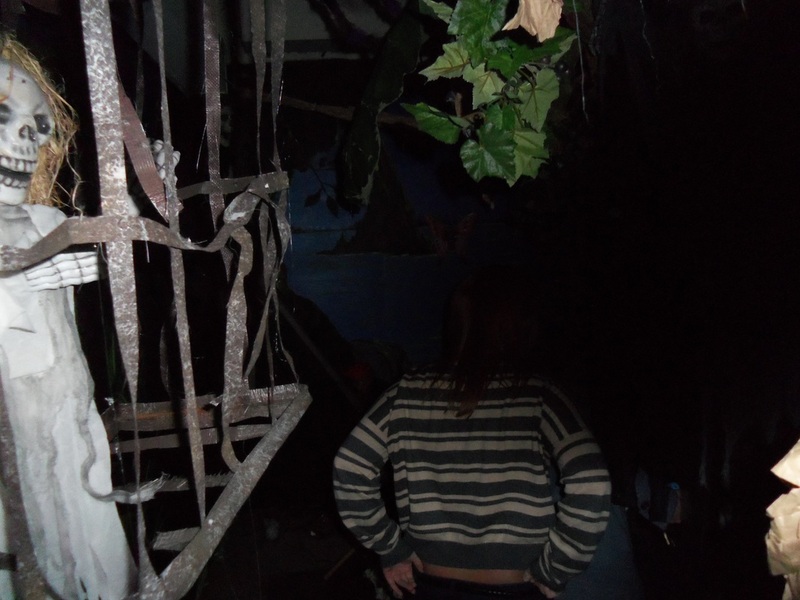 There are simply too many other haunts to experience, and haunt time is limited, so we like to make the most of it. 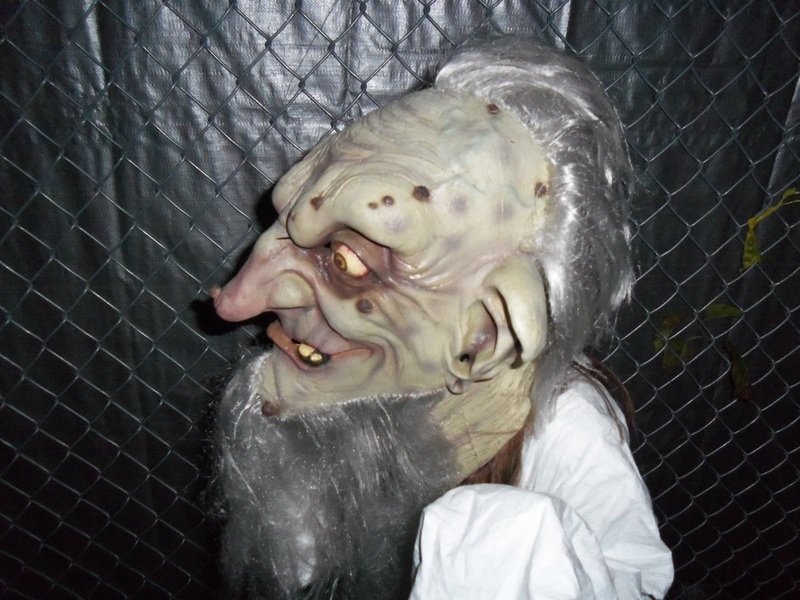 We'd recommend planning to get to Underground Hauntings early, perhaps even before they open for the night, in order to avoid the lines. 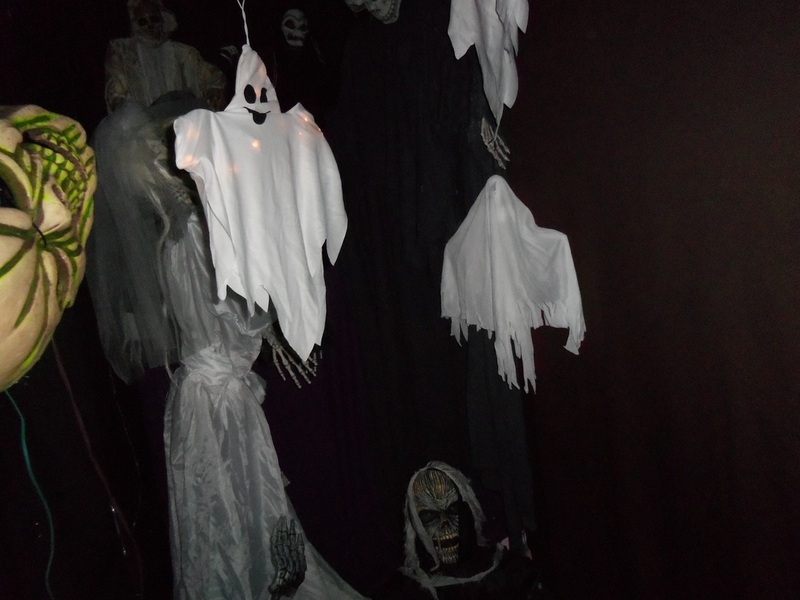 The haunt itself is well designed, with numerous rooms, passages, and winding corridors. 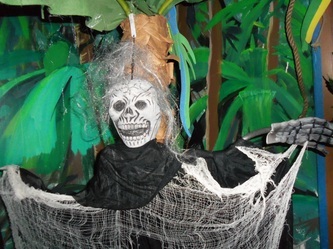 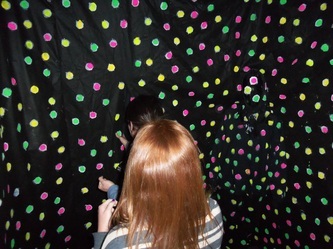 The rooms all have individual themes, such as a jungle, a forest, a child's room, a surgery, and more. As mentioned, most of the actors are younger kids, but they are quite enthusiastic, and stay in character throughout. 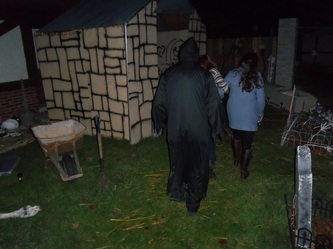 We even had one younger actor follow us all the way from outside to the end of the haunt - we had to hand it to him for the effort! 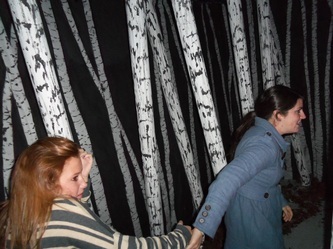 Additionally, some of the scenes feature rather creative scenes that make good use of actors of smaller stature, such as the forest, which in 2012 featured the Slender Man. 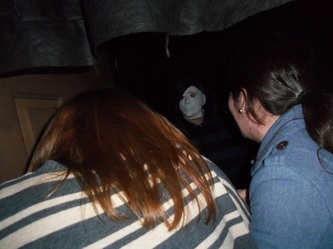 The actor playing him blended in perfectly due to his smaller stature, and provided a pretty good scare. 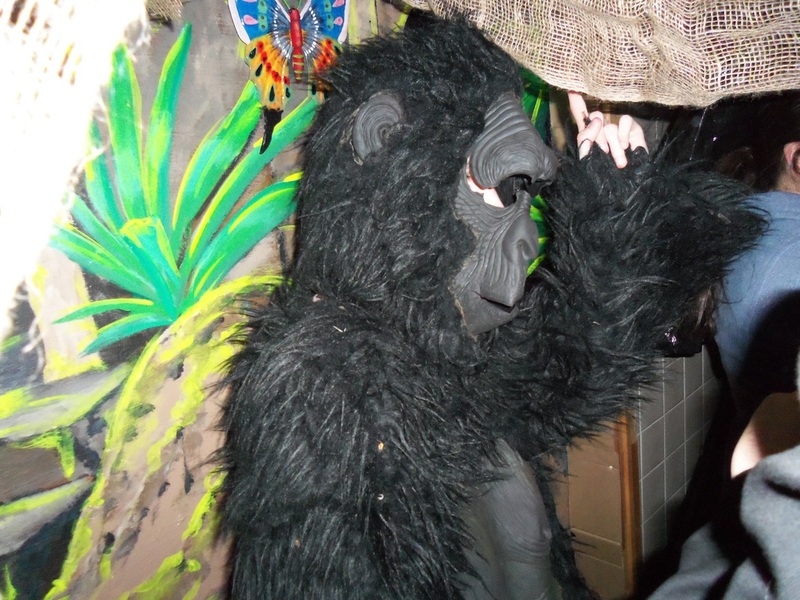 A couple of other good setups include the jungle room, (complete with banana trees and gorilla), a room that simulates a train coming directly at visitors, and a living room scene with a live actor inside a real TV (another excellent use of smaller actors). The haunt continues upstairs and outside to a garage, which features more scenes, then to a large open area with many hidden corners where live actors can potentially jump out at you. 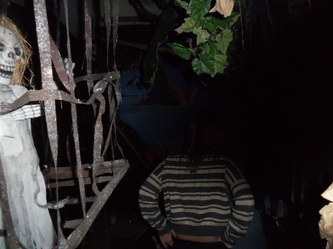 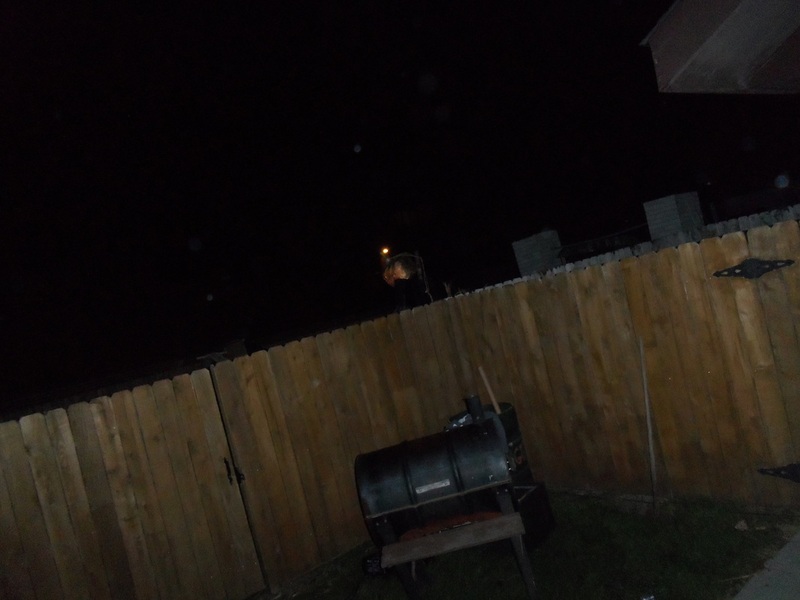 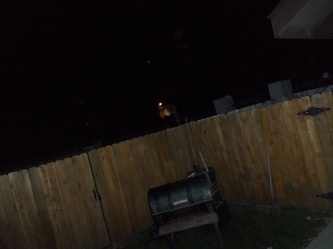 Unlike some haunts where the end scene leads to an open exit area (where really scared visitors can run), this one is completely fenced in, and the only exit, while not concealed, is not necessarily obvious, leading to an enhanced experience. 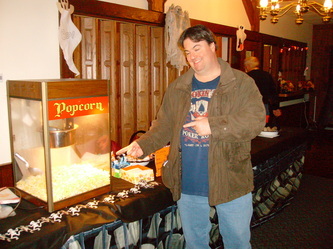 The haunt also sells popcorn and other snacks, and their prices are pretty reasonable. It's a great haunt for anyone who has younger kids and who wants a long experience for not that much money. 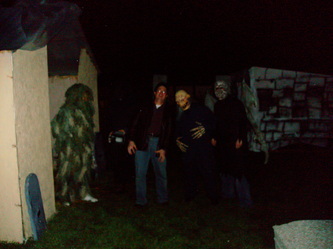 It's well worth a look - just be mindful of the long line potential.